One of the many great things about living in Quebec is getting to mess with the languages - Take Magazinage - Is it a word in English? Nope! A word in French? Yes- But it has nothing to do with Magazines! It means shopping! Which is what you will want to do when you see the new magazines we have in stock and on the way. I've had my eye on this Spanish import for a while - It was sold out when I was in NYC last. I'm glad to say we've tracked it down and that's everything the nerdy design appreciator in me could ever desire. My co-worker Julia calls it: "Cribs for Indy-Rockers" I call it wonderful. The newest copy of Yeti (Issue#8) is on it's way and is accompanied by a pretty awesome looking 80 minute cd. We've also added the U.K based Granta Magazine to the list of literary minded reviews we carry. 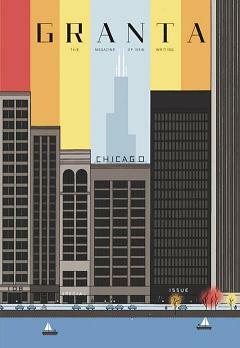 The Winter issue is on it's way along with a few back volumes of the Chicago issue# 108 (pictured below) Featuring design by Chris Ware. Other amazing (and hard to find) titles on the way this month include: The local Beaubien, Toronto-based Hunter&Cook and Bad Day as well as Brooklyn's Cabinet +many many more!